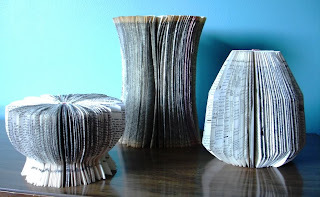 Craft Envy: Spotlight Saturday: Creative Vase Crafts! I love creative house decor, especially when it's in expensive! Check out these awesome ideas! uh...pretty much free...SWEET! I love it! and I have like 8 million of these skewers...gotta get busy! I love these! I am going to have my little munchkin go stick hunting tomorrow. This is going on my gift to do list. 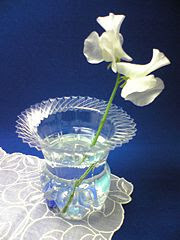 I couldn't get the link to work for the paper book vase it came up with broken link. Sorry about that! The link should be working now! Thanks for the shout-out on the paper vases! I went to grab your featured button for my blog but it didn't work. In the html code <img src="hhttp://farm3.sta..etc you have an extra H in the http part. Just wanted you to know. I love this post! Great vases!